Now that the Canadian Goose population has rebounded so spectacularly, geese are now frequently considered pests. Everyone wants to control them, but federal and state regulations, as well as humane animal concerns make controlling your goose problem tricky. There are dozens of solutions out there on the market, ranging from methods that have been tested by scientists as effective all the way down to the unproven and ineffective. We put this option at the top of the list because hazing with border collies is the only sure fire way to keep geese off of your property. In a study by Cornell University, using Border Collies alone removed Canada Geese from a property with a 93% success rate. Typically, Canadian Geese are not intimidated by dogs and are more than happy to attack pets that come near them. But, because of the border collies’ intense gaze and stalking behavior, geese react to them as they would a lethal predator. 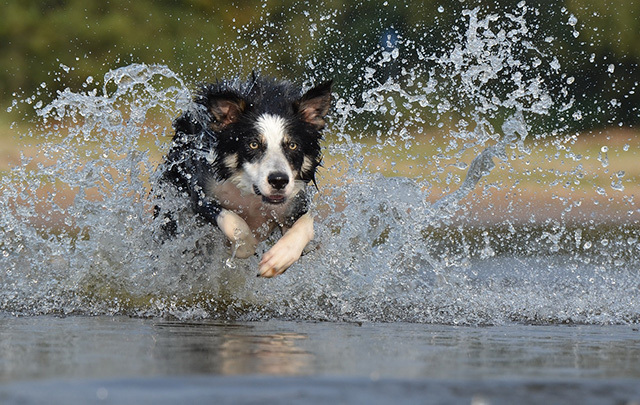 Geese will retreat to the water, but trained border collies will swim after them, forcing the geese to lift off and leave the premises. The regular presence of border collies teaches the geese that their favorite spot has become dangerous zone. Geese are heavy birds, and every lift off costs them a significant amount of calories. After enough visits with by a trained border collie, the geese learn it is nutritionally cheaper to move to a new home. For small and mid-sized properties a Goose Control service like Goodbye Geese is the best way to remove birds. For large properties with multiple bodies of water that may require multiple daily hazings, and who can afford to hire a full time handler, it may be cost effective to purchase your own trained goose dog from a talented trainer. Warning: While pressure by dogs can be very effective, it is vital that the dog is extremely well trained. If the dog injures or kills a goose, the handler will face full legal liability from State and Federal governments. Use of a professional with trained border collies prevents this risk. We recommend only working with North American Goosedog Association (NAGA) Certified Handlers and Certified Goosedogs. Cons: Can be expensive (for budget strapped organizations and individuals), Purchased dogs require a skilled handler or they will become untrained over time. If a dog is purchased for a small or mid-sized property, it is likely that the dog will become bored with the lack of exercise and work, and will develop neurotic habits like digging holes and constant barking. Nest control is another good option. While nest control doesn’t chase away the geese currently on your property, it does stop them from reproducing. For humane purposes, it’s important to conduct your nest control program as early as possible after the eggs have been laid. However, it is extremely important to note that Canada Goose Nest Control programs requires permit from the Michigan DNR. This process also requires applicants to attend a mandatory training session every year in order to be eligible. The dates for nest control are not fixed, and are set at the discretion of the Michigan DNR annually. To learn more, please visit the Michigan DNR website. DO NOT conduct any nest control activities without the proper permits. Before any nest control can begin, you need to first “age” the eggs using the float test. Eggs incubated less than 14 days can safely be removed. Any incubation longer than 14 days is considered inhumane. Destroying nests after the eggs have pipped (the gosling has begun hatching) is illegal. After destroying nests, it is possible that the mating pairs will retreat to brush and start a new nest before the season ends. 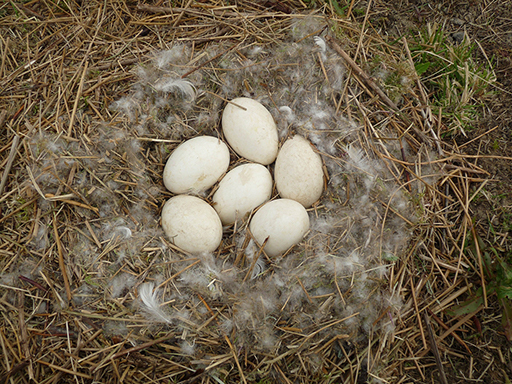 It is important to keep track of the birds and try to determine if they have laid a new clutch of eggs. If you fail to find the new nests, its likely that the geese will walk the goslings onto the water after hatching. If you find a new nest, please make sure that you are still within the time frame determined by the Michigan DNR for nest destruction. While there are several nest control methods (like Egg Addling and Egg Oiling), Michigan State law only permits standard nest destruction activities (where eggs and nests are collected and then disposed of safely). Do not attempt to Addle or Oil eggs in the state of Michigan. Cons: Requires training and permit, narrow window to remove eggs before hatching, nests can be difficult to locate, usually requires multiple people to help, be ready to deal with aggressive birds. A Goose Roundup occurs during the summer molt, when the birds are flightless. During this time, it’s possible to collect the birds and transport them off-site in Department of Natural Resources approved transport crates. Most people use licensed animal control companies to handle this procedure, as it requires a permit and training from the DNR on a yearly basis. Goose Roundups provide temporary relief from goose problems. However, according to the Michigan DNR website, many participants in the Goose Roundup program find that their birds have returned within a couple of weeks. As human and goose populations continue to grow, there are fewer and fewer places to relocate the birds. Also, geese instinctively return to their breeding grounds. 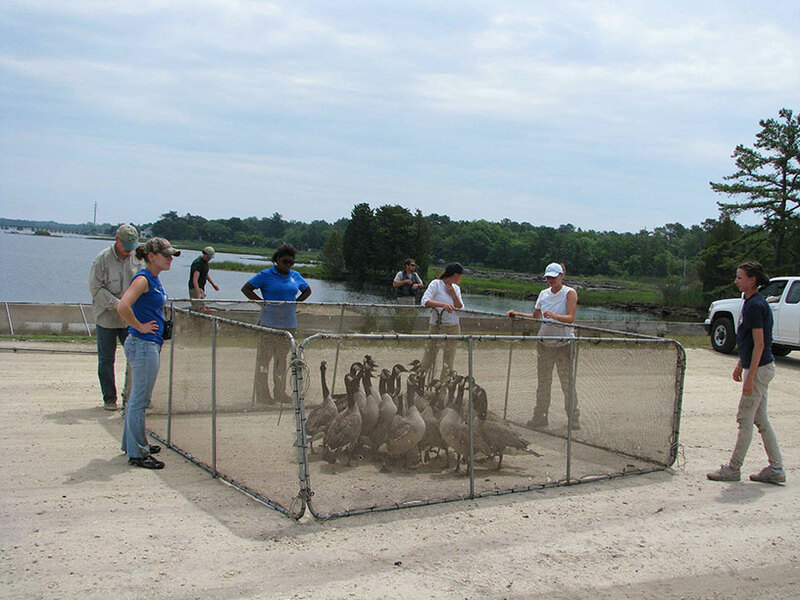 The Maryland DNR found that geese that had been relocated as far as South Carolina (over 500 miles) eventually returned to the collection site. Goose Roundups seem appealing because the birds are here today and gone tomorrow. However, its limited effectiveness makes the program an expensive band-aid to a goose problem. Geese prefer lots of landscaped shoreline and open green spaces. This allows them easy entry to and exit from the water, and plenty of place to land and take off from while on land. Habitat modification seeks to diminish these advantages. 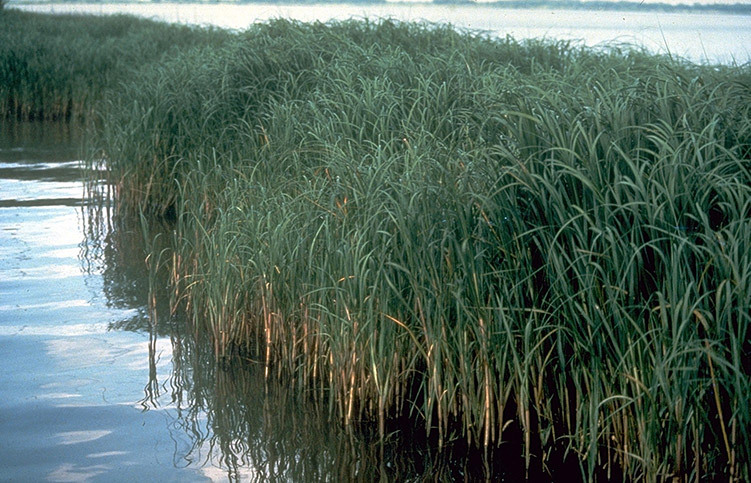 By allowing brush to grow on the waterfront, birds cannot easily transition from land to water. Similarly, having more trees and brush on your green spaces makes it difficult for birds to safely graze and escape predators. While this method is super cheap (heck, it’s free! ), it does come with a significant downside. By letting your property go back to nature, you diminish its scenic quality, making things look shabby and unkempt. If appearance is not a priority, habitat modification could be a great solution. But, if you need to keep up appearances (like in public parks, corporate properties, neighborhoods, golf courses, etc), then this method can be of limited help. 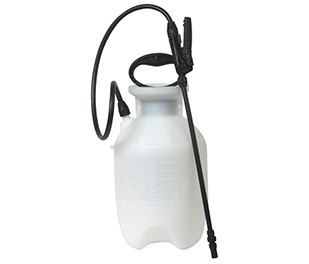 People have reported mixed success using these chemical deterrents, so they may be worth a shot if you don’t have other options. They will be most effective where green space is limited (like a back yard), but you will need to reapply regularly, especially after rain storms. Decoys to deter geese usually come in 2 forms. 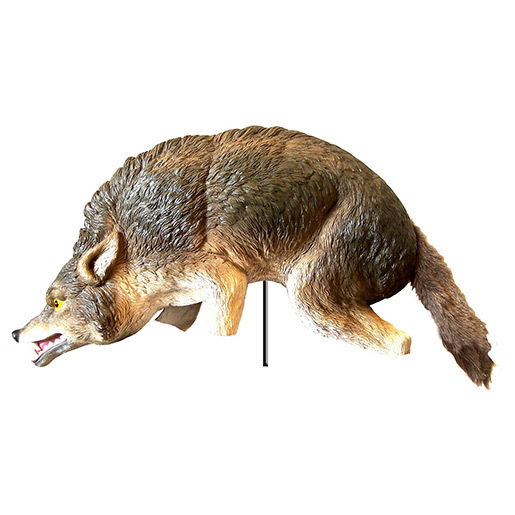 Canine decoys (coyotes, wolves, dogs, etc), and swan decoys. At a glance, the canine decoys scare geese away because they look like a goose’s natural predator, or so the logic goes. Swan decoys, similarly, look like a hostile waterfowl that won’t hesitate to dominate their smaller cousins in a fight. On first introduction, decoys seem to do a decent job. Geese are extremely aware of their surroundings, so a predator suddenly showing up will make the birds wary. However, Canada Geese also love to test their boundaries. They will gradually approach the decoys. Once the predators fails to attack them, the geese will quickly overcome their fear and return to grazing as normal. Just read these Amazon reviews for decoy products. As you can see, customers are not happy. To get any real value out of your canine decoys, it is a good idea to combine them with a border-collie hazing program. The border-collies are an active threat that the geese associate with your property. So, upon seeing a canine decoy (especially if it is painted to look like a border collie), geese will assume that the dog is on site and won’t bother landing. Cons: Birds will adjust to decoys, unlikely to work as a solo deterrent. Combined with dog hazing it works well. This technique is touted as a cheap, DIY solution to a goose problem. It’s done by staking the shoreline of a pond every few feet with cheap wooden stakes. Afterward, you run transparent fishing line around the length of the pond about six inches above the soil, wrapping it around or stapling it to the wooden stakes. Much like habitat modification, the idea here is to make it difficult for the birds to enter and exit the water. In order to go from water (where they are safest) to land (where most of their food is), the birds are forced take flight. As I mentioned above, every time a goose takes flight, they spend a lot of calories. This obstacle makes it more calorically expensive for geese to stay on your property, and they may well decide that they can get everything they want (food and safety) from somewhere nearby with much less hassle. This success of this technique depends on a lot of environmental factors. If you have a small body of water, limited green space, and plenty of other nearby ponds in a couple mile radius, this technique may work for you. However, if the body of water is medium to large, you will spend a lot of time repairing broken or worn down lines. One gap in the line is more than enough to accommodate your geese. If there is a lot of green space, the birds will have no problem landing in open grass (making the deterrent less effective). If there are few nearby alternatives for the birds, they are likely to just put up with the nuisance and stick around. Noisemakers are extremely loud, audio based deterrents. Distress calls are audio recordings of distressed geese, the idea being that the sound will alarm and ward off nearby geese. Other noisemakers are simply loud explosions set off at strategic periods during the day to rattle the birds into an instant lift off. These tactics have varied levels of effectiveness, but all of them only appear to be effective over a short period (2-3 weeks). 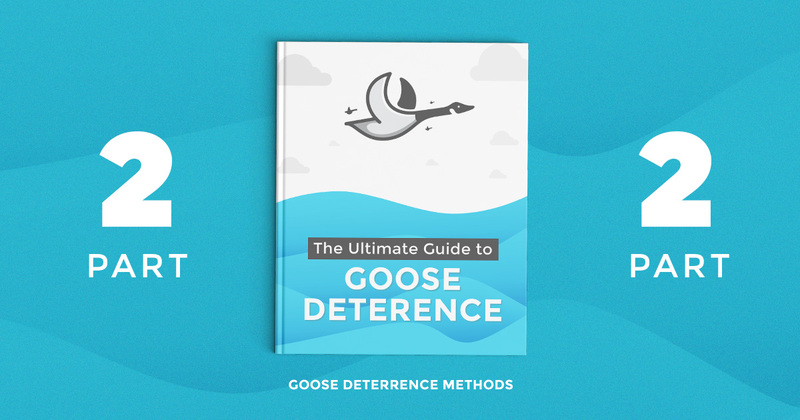 After this time, geese tend to habituate to the noisemakers and return to the property, especially if they are the only form of deterrent used. They work best on migratory breeds of Canada Geese, but resident varieties tend to be completely unphased. There are numerous downsides to noisemakers, the most significant being the really loud noises. Sudden, unpredictable explosions can turn a relaxing lakeside experience into cardiac episode. 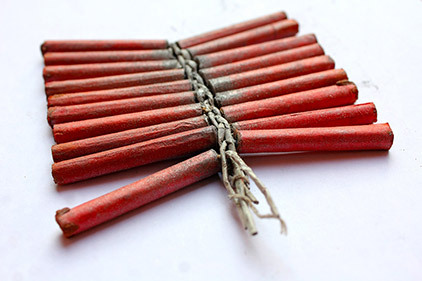 Most noisemakers are unacceptable in urban and suburban environments, people often mistake the loud blasts for gunshots and will call 911 and prompt a police response. In general, these devices will not be popular with your neighbors, visitors, or customers. Also, if you’re unable to automate the noisemaker triggers, you’ll spend a lot of time managing the triggers manually. Cons: LOUD! you will not be a popular person, can’t use in an urban or suburban area, could get cops knocking on your door, labor intensive unless you can automate.